Smith & Wesson M&P (Military Police). Run Time: 22 Minutes For ARMORERS and NEW SHOOTERS alike…This DVD is based on the 9mm version of the M&P line of pistols but will directly relate to the other available calibers. 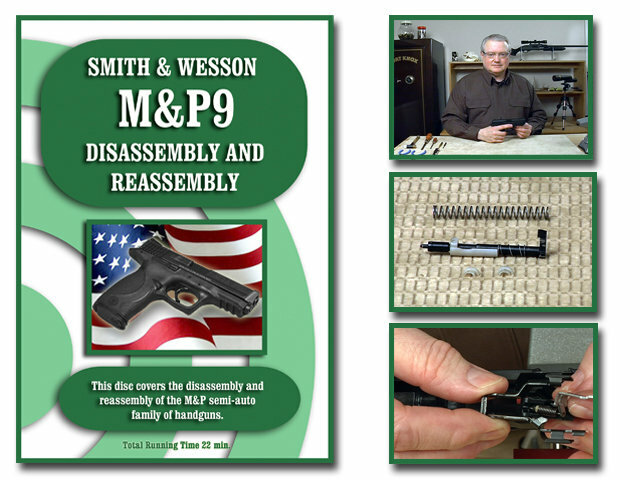 This DVD will illustrate the proper procedure to field strip or completely disassemble and reassemble your M&P with confidence. On-Target’s DVDs are digitally produced and provide clear and concise instructions. We at On-Target take great pride in the up-close videography of each DVD.